One of the greatest strength of WordPress lies in how easy it is to modify and extend. WordPress is an open source; its functionality is nearly limitless as well. WordPress developers are creating hundreds of plugins to extend its capabilities. 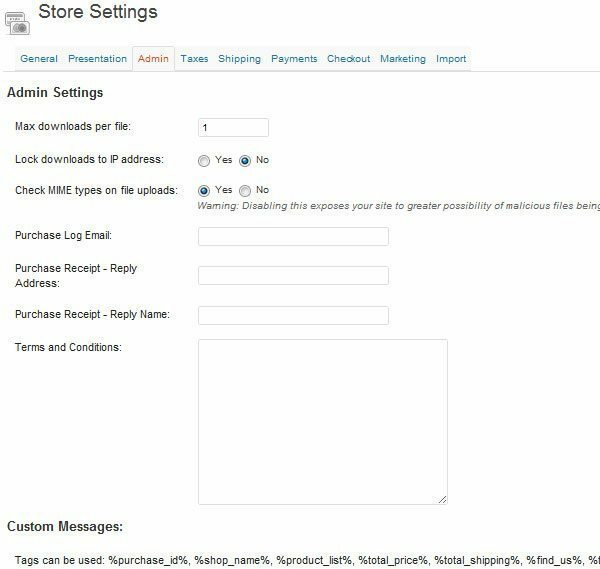 WP eCommerce is a free WordPress Shopping Cart Plugin that lets customers buy your products, services, and digital downloads online. Even there are WordPress Themes with eCommerce features. WP eCommerce Plugin is created by the New Zealand-based company: Instinct. I found this plugin which can easily integrate e-commerce capabilities into any WordPress theme. WP eCommerce is the most tried-and-true way to build an online store with WordPress. It’s an ideal solution for selling physical goods, services, and digital products online. On the above list you have seen the WP eCommerce plugin in action, let’s take a quick look at some of the overall features. Always try to set up WordPress on localhost as it speeds up the process of development. If you are on Windows or Linux, you can use xampp. For Mac lovers, they can use mamp. Follow these short and easy tutorials on how to setup localhost on your computer. Moreover, I am using jQ, an awesome free theme for WordPress. Install WP eCommerce from official plugins repository or from its official website. Activate the plugin, and you can see after activation, Products along with other tabs below the comments tab. We will start from settings, and then we will create some products to set up our demo store finally. On Dashboard, there appears Store tab under Setting. Click on Store, There you can set location, target markets and currency in which you will sell products. There is an additional tax-option which will be applied on the top of your product price. The presentation tab is the front of your store. Instinct, the company behind WP eCommerce also offers a gold cart premium plugin with more options. 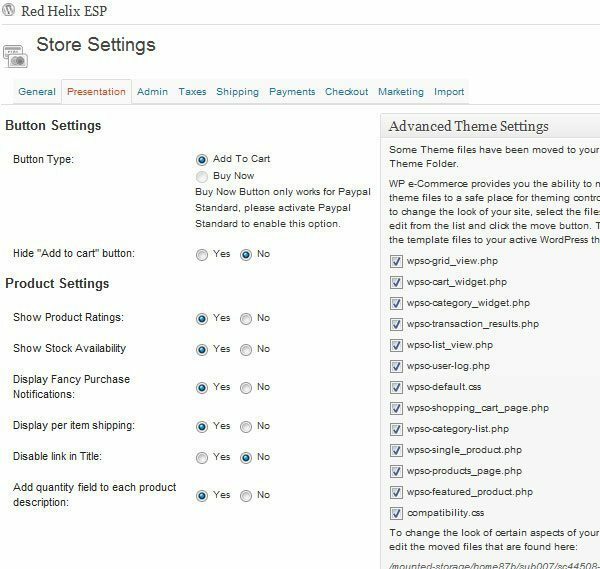 You can change setting for Product Page Settings, Shopping Cart Settings, Product Category Settings, ipThumbnail Settings, Pagination settings, and Comment Settings with IntenseDebate Comments plugin. Under Admin panel you can set how much time a user can download a specific file. You can also lock downloads to that specifiIP from which orders have been placed. You can customize the default email addresses. The purchase receipt is the message e-mailed to users after purchasing products from your shop. To enable shipping in WP eCommerce, you must select which shipping methods you want to allow on your site, along with different shipping schemes like flat rate and weight rate that will automatically calculate the shipping charges and will add these charges on top of your product price. 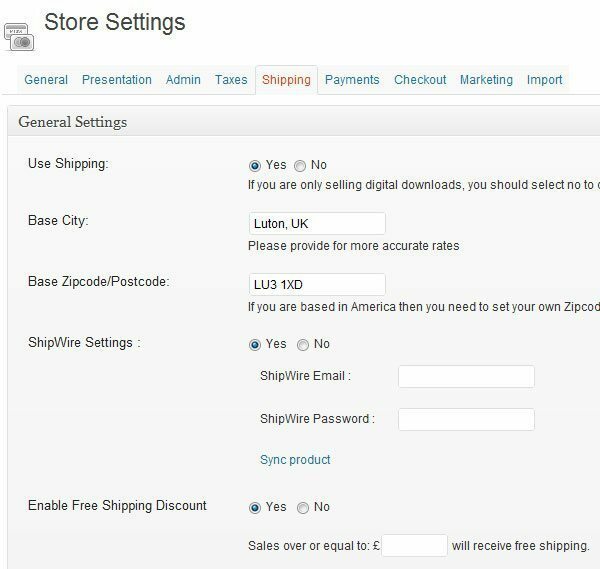 WP eCommerce has built in support for ShipWire which is an order fulfillment company for online vendors. If you want to use fixed-price shipping options like “Pickup – $0, Overnight – $10, Same day – $20, etc.” you can download a WordPress plugin from plugins directory for Simple shipping. It will appear in the list as “Fixed rate”. WP eCommerce assumes your WordPress theme has a page.php, or a single.php or an index.php like any good WordPress theme should have. Due to some limitations of the Custom Post Type system implemented by WordPress (for more information on this, please read here) WP eCommerce has an impressive job when rendering Products Pages. In fact, most WP eCommerce pages use two templates. One for the overall look of the site (The arrangements for Header, Sidebar, Content, Footer) and another for The Content section. You can find detail on WP eCommerce Templates. Other themes should work as well. If you have any doubt, just try it yourself. WP eCommerce platform provides the best solution to manage and add inventory, which gives you full control over your product catalog. You can add a new product directly from the WordPress dashboard, adding any descriptive elements with a rich text editor. WordPress Widgets (WPW)  provide a simple way to arrange the various elements of your sidebar content (known as “widgets”) without having to change any code. Activate the payment gateways that you want to make available to your customers by selecting them below option. The plugin not only keeps track of what items the customer wants to buy but also calculates additional shipping and handling costs that you specify. 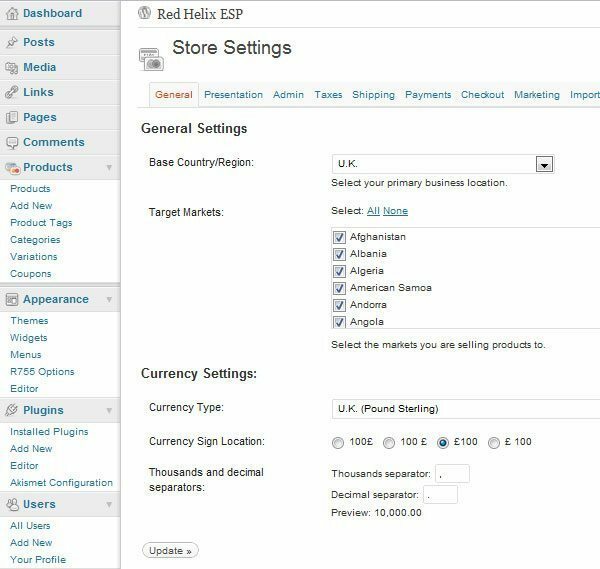 Once you start making sales, the plugin maintains a purchase log for you. All transactions are logged on a month-by-month basis. Additionally, you can download a full report as a Comma-Separated Values (CSV) file for further analysis or financial administration. Detail: Payment Gateways we support / General Information. The WP eCommerce plugin enhances the power and flexibility of WordPress, and seamlessly integrates a Shopping Cart into it. Anyone with an existing WordPress installation can quickly add the ability to sell goods and services.